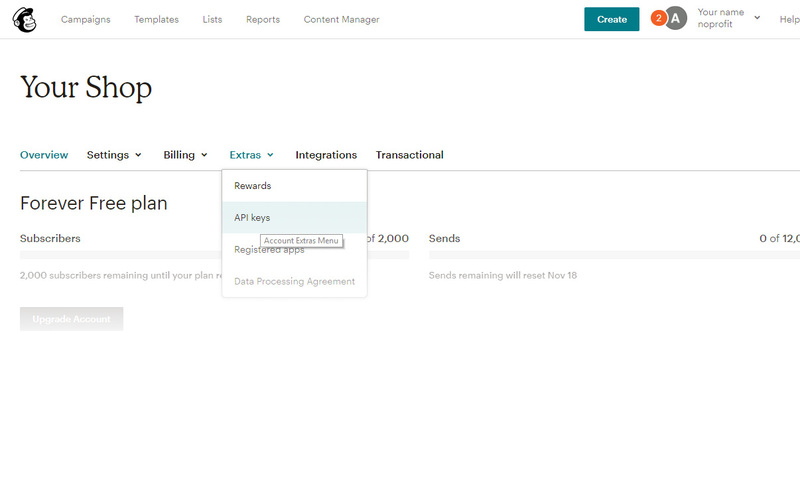 - Locate the Extras menu and click on "API Keys"
Paste the API Key previously copied from your Mailchimp Admin. 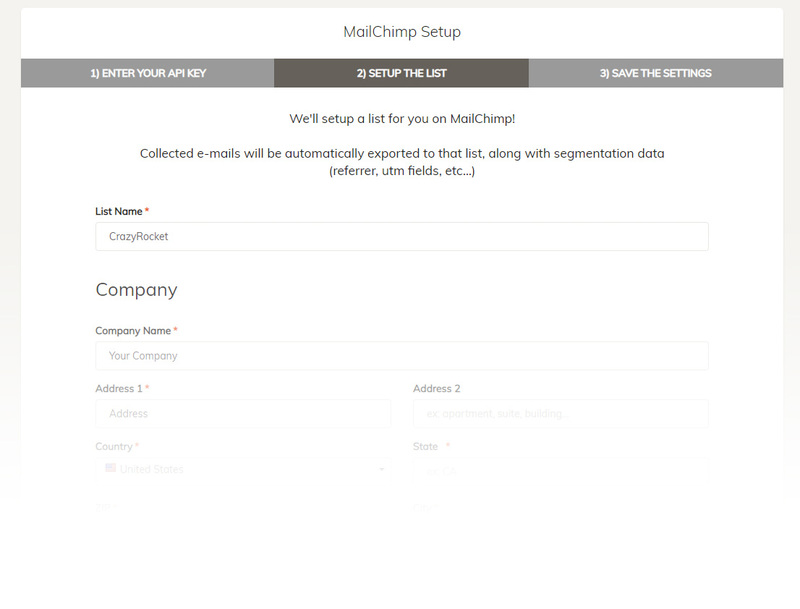 The system will set up a new list on Mailchimp automatically, make sure to fill in all the required fields and click on NEXT when done. Once you reach the last page of the wizard, click on FINISH to save the settings. If everything works as expected the system will show a "SAVED!" message. 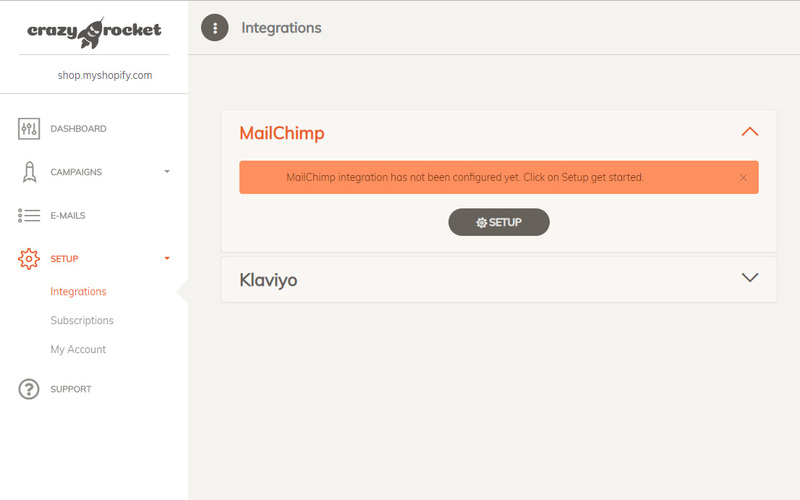 Open the campaign(s) you want to connect to the Mailchimp integration, go under the GLOBAL section and select Mailchimp on the integrations dropdown. Great! 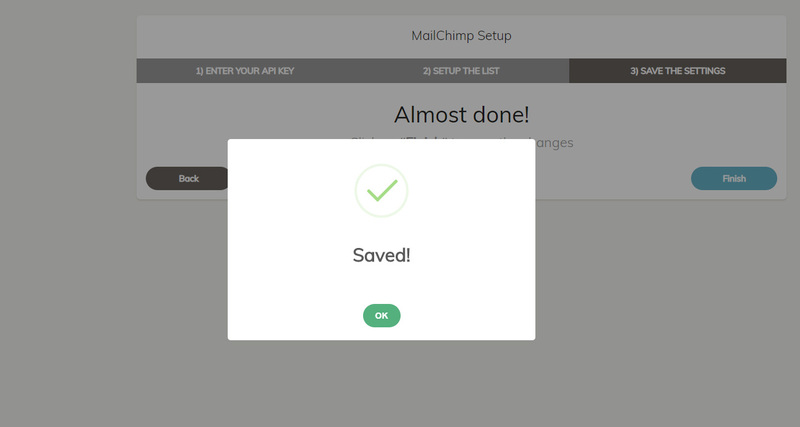 Mailchimp is now ready to receive the e-mails collected from CrazyRocket.